Location: Royal Academy of Belgium, Rue Ducale 1, 1000 Brussels. The Horizon Geoscience: overcoming societal challenges, creating change dinner debate is co-organised by the European Geosciences Union (EGU) and the European Federation of Geologists (EFG). The dinner debate will take place at the Royal Academy of Belgium (Rue Ducale 1, 1000 Brussels) on 26 September 2018. A high-level panel debate will kick-off the evening and be followed by a dinner, refreshments and round table discussions. Encompassing a large number of scientific disciplines, the geosciences play an important role in many policy decisions, including but not limited to, those related to climate change, natural hazards, energy, space exploration, agriculture and ocean health. This event is an opportunity for researchers, policymakers and industry leaders to assess how greater collaboration can be achieved to overcome societies biggest challenges. The evening will commence at 18:00 and officially conclude at 21:00. Lieve Wierinck is a Belgian Member of the European Parliament within the Group of the Alliance of Liberals and Democrats for Europe. She is a full member of the Committee on Industry, Research and Energy (ITRE) and substitute member of the Committee on Economic and Monetary Affairs (ECON). 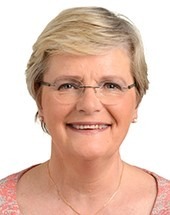 Prior to becoming a Member of European Parliament in 2016, Ms Wierinck obtained a pharmaceutical degree from the VUB (Vrije Universiteit Brussel) and worked as an independent pharmacist in Zaventem, Belgium for almost 30 years. During this time, Ms Wierinck was also a member of the City Council of Zaventem and President of the OCMW (Public Centre for Social Welfare). From December 2011 until June 2014, she was a member of the Belgian Federal Parliament as a member of the Committee for Public Health, Environment and Social Renewal and of the Advisory Committee on Societal Emancipation. 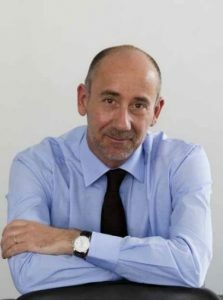 Jean-Eric Paquet has been working as the Director-General for Research and Innovation (DG RTD) since April 2018. Mr Paquet started working with the European Commission in 1993 and since then has worked in various areas throughout the Commission. From 2002 until 2004 he was the Deputy Head of Cabinet of former Commissioner for Research, Philippe Busquin. From 2007 until 2011 he worked as a Head of Unit within the Directorate-General for Mobility and Transport (DG MOVE) before becoming the Director of DG MOVE’s TEN-T and Smart Transport directorate. Mr Paquet joined The Directorate-General for Neighbourhood and Enlargement Negotiations (DG Enlargement) in 2013. He took over the Directorate in charge of relations with Albania, Bosnia & Herzegovina, Serbia, Kosovo and later added Montenegro and the former Yugoslav Republic of Macedonia to his portfolio. Before starting his current position as Director-General, Mr Paquet served as one of the three Deputy Secretaries-General of the Juncker Commission and was responsible for Better Regulation and Policy Coordination. 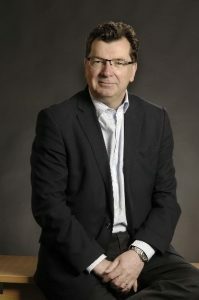 John is Chief Executive at the British Geological Survey (BGS) a £60 million science organisation that is part of UK Research and Innovation and is associated with the UK Natural Environment Research Council. He has held numerous science direction and management posts and prior to his current role he was Director of the Earth Sciences Division at the French National Centre for Scientific Research (CNRS). He holds a doctorate from the University of Manchester, UK and a BA from Lancaster University, UK. He has visiting and honorary professor status at several universities and is a Foreign Member of the Russian Academy of Sciences and past president of the European Geosciences Union and also EuroGeosurveys. He received the CBE for contributions to Geosciences in 2016. 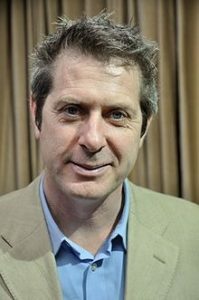 Iain Stewart is a Professor of Geoscience Communication at the University of Plymouth and Director of its Sustainable Earth Institute. In addition to his work as science broadcaster with BBC television making popular documentaries about the planet, he is President of the Royal Scottish Geographical Society and holds a UNESCO Chair in Geoscience and Society. 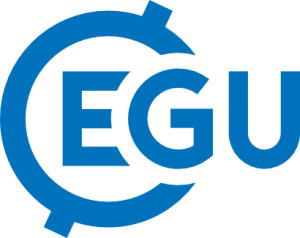 The European Geosciences Union (EGU) is Europe’s premier geosciences union, dedicated to the pursuit of excellence in the Earth, planetary, and space sciences for the benefit of humanity, worldwide. It is an international union of scientists with about 15,000 members who span many key scientific areas that can enhance the policy-making process. The EGU engages with science for policy activities on a European scale to encourage stronger science-policy partnerships, inform geoscientists about relevant policy opportunities and highlight policy-relevant research to both the public and policymakers. The EGU also publishes a number of open access journals and organises the largest and most prominent European geosciences event, an annual General Assembly with over 14,000 scientists. The European Federation of Geologists (EFG) is a non-governmental organisation that was established in 1980 and includes 26 national association members with over 45,000 individual members. EFG’s members are National Associations whose principal objectives are based in similar aims. The guidelines to achieve these aims are the promotion of excellence in the application of geology and the creation of public awareness of the importance of geoscience for the society. The organisers of this event (European Federation of Geologists (EFG) and European Geosciences Union (EGU)) are collecting the data you have provided for the organisation of the Dinner Debate Horizon Geoscience: overcoming societal challenges, creating change. The purpose of this data collection is to ensure a smooth organisation of the Horizon Geoscience: overcoming societal challenges, creating change on 26 September 2018 and provide participants access to the venue. The recipients of your data will be the EFG and EGU staff in charge of the event organisation. The participants list will be distributed during the event to all the participants including names, affiliations and professional email addresses. Your data will not be shared with third parties and will not be used for other purposes.